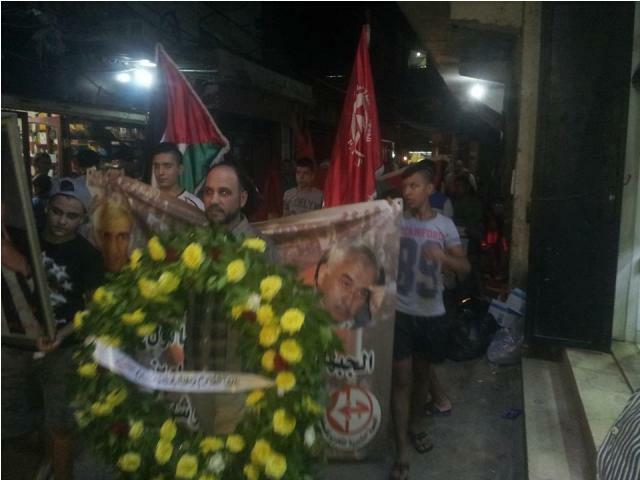 Palestinian refugees in Lebanon marked the 14th anniversary of the assassination of Palestinian leader Abu Ali Mustafa. 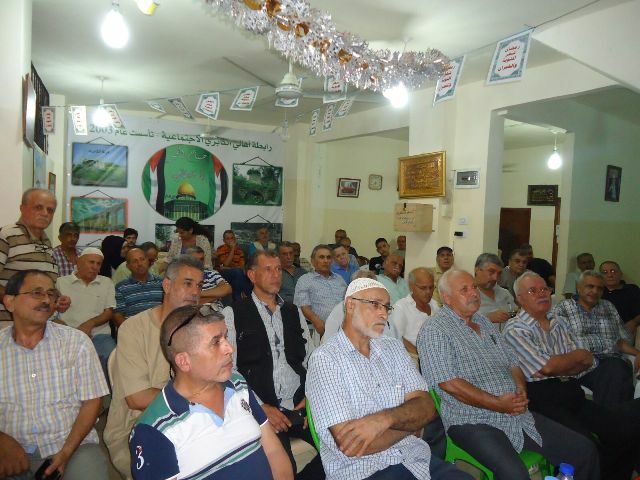 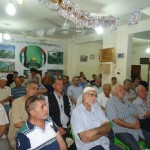 In an event in Burj al-Barajneh camp, the Popular Front for the Liberation of Palestine held a forum on current Palestinian political developments and screened the film, “In the Eye of the Storm,” about the life of Abu Ali Mustafa. 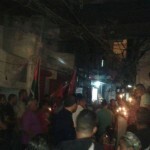 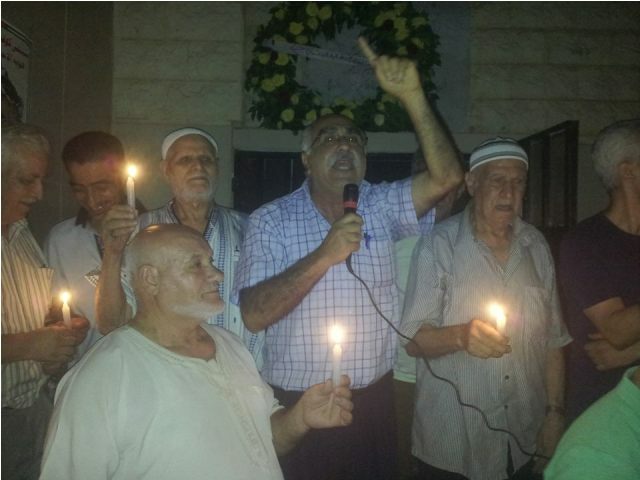 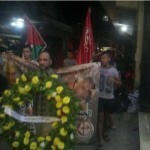 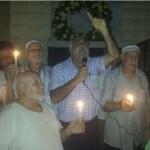 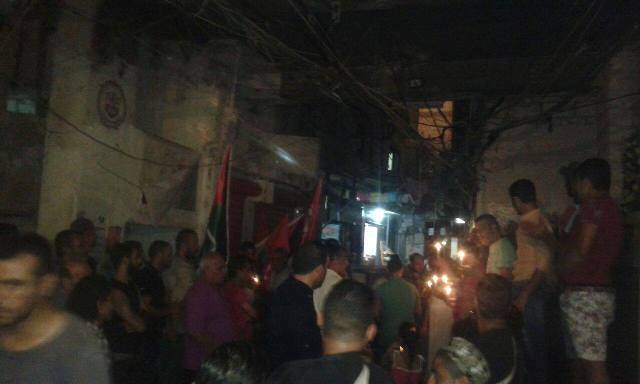 In Shatila camp, the Front organized a mass candlelight vigil, which marched from Abu Ali Mustafa square inside the camp to the Martyrs’ cemetery in the camp, where participants laid a wreath in honor and memory of the martyrs. 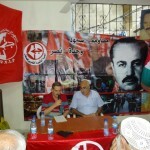 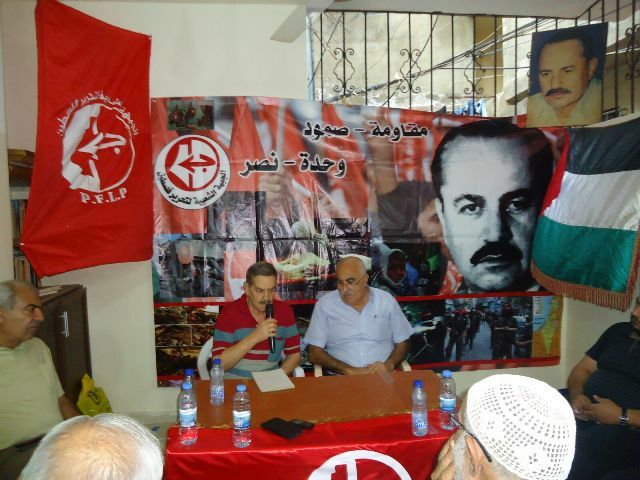 Both events included speeches by Abu Jaber, the political relations officer of the PFLP in Lebanon, addressing the current political situation and the relevance of Abu Ali Mustafa’s firm commitments to the entirety of Palestinian national rights. 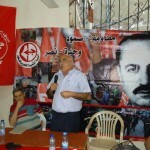 He noted the attacks and dangers against the Palestinian refugee camps in Lebanon, placing them alongside deep cuts to UNRWA as mechanisms to liquidate the right of return. 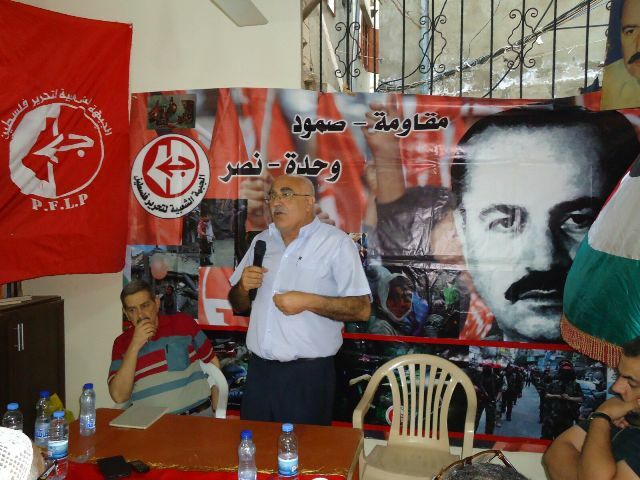 He also denounced security coordination in the West Bank by the Palestinian Authority with the occupier, urging the need for real national unity based on unified resistance on the road to liberation.